If "no man is an island" then shouldn't that apply to countries as well, as in "no country is an island?" 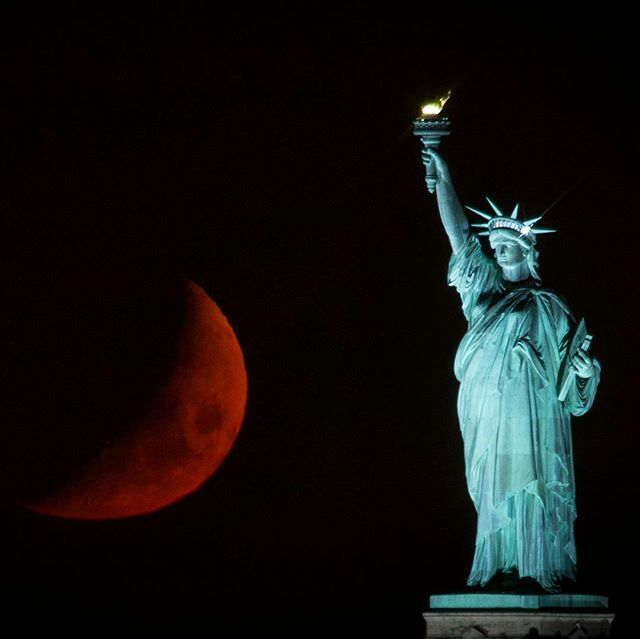 Apparently, one island, in particular, is its own country and despite its diminutive 1.4 million population, it can even now judicially dictate immigration policy for the nation of over 318 million that claims it, for better or worse, that being the United States of America, at least for now. 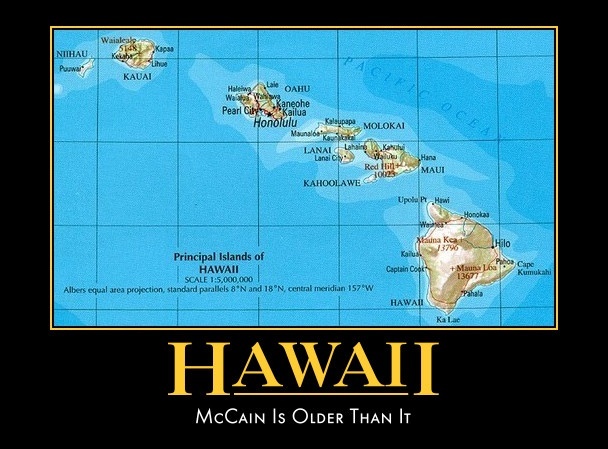 But even worse, the island nation of Hawaii--allegedly the birthplace of Obama (who is easily the most left-leaning president America has ever produced) has skewed so far to the socialist left-- that nary a Republican can hardly be found, these days. In fact, one of the few Republicans remaining just went over to the dark side after she was bounced out of GOP leadership for emulating the Democrats in almost every way, including her disdain for the Trumpster. Too bad we can't do that over here on the mainland--but then we'd most likely lose our entire GOP leadership, which....wouldn't really be much of a loss, come to think of it. At any rate, the AP is reporting that Attorney General Jeff Sessions did a bad, bad, thing when he referred to the nation-state of Hawaii as "an island in the Pacific" and how dare he? Especially since Hawaii is actually a chain of islands, with more being volcanically produced every day. Sessions was referring to a recent decision by an activist judge, who just so happens also to be good buddies with Obama, where the judge blocked Trump's revised limitation on the admittance of certain refugees who hail from dangerous places. 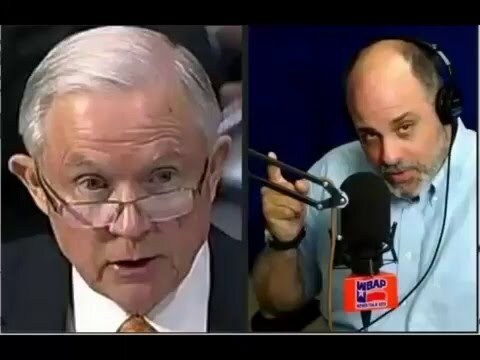 According to the AP, "Sessions told radio host Mark Levin: "I really am amazed that a judge sitting on an island in the Pacific can issue an order that stops the president of the United States from what appears to be clearly his statutory and constitutional power." On Sunday, Sessions chuckled when asked on ABC's "This Week" why he didn't just refer to Hawaii by its name. His response: "Nobody has a sense of humor anymore." No indeed, you see, a sense of humor requires at least a modicum of intelligence and intelligence in America is ebbing to an all-time low, at least in certain fascist political circles, where the left rules supreme. But, seeing as how Hawaii & the political left are now all about trying to dictate national security policy for America, why not let Hawaii put their leftist money where their mouths are, and become America's New gateway for refugee immigration; a veritable New Ellis Island? Just think of it, all Mideast refugees would be required to flow first to Hawaii, and we can even put the judge who limited Trump's immigration ban in charge of overseeing Hawaii's new role as America's gateway to Islamic refugeedom! 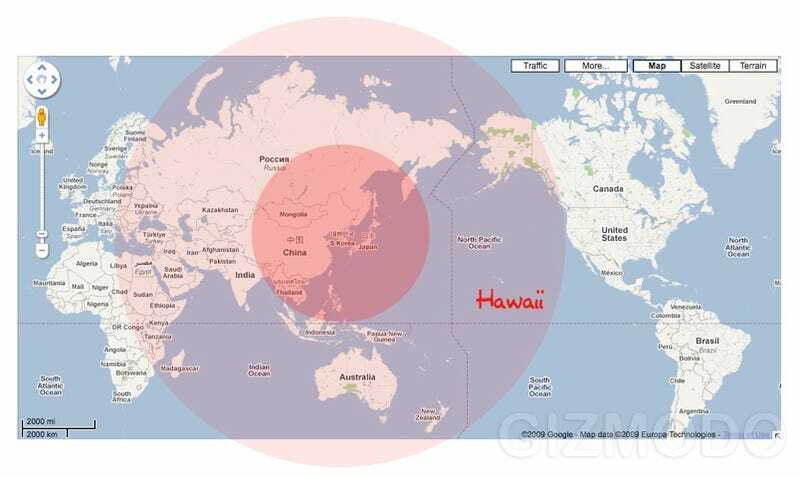 It's the perfect answer to an array of devilish problems, because Hawaii, as we all know, is an island right slap in the middle of the Pacific, which makes for a wonderful venue-- especially for security purposes. But, even better, Hawaii is heavily populated by leftists who absolutely love Islam, along with its more rowdy fundamentalist practitioners. But, best of all, it's about 2,500 miles from the mainland by sea and those rowdy Islamic refugees, let's just admit, aren't exactly the best mariners around, according to all the media reports of capsizings and sinkings around Europe, I 'm just saying. You simply have to admit, the concept is brilliant because then Trump can forget about his travel ban altogether and let Hawaii take over completely. With new islands being volcanically produced every day, the vast increase of radical refugees should have no problem making themselves right at home, especially with all the sulfuric emanations happening all around. 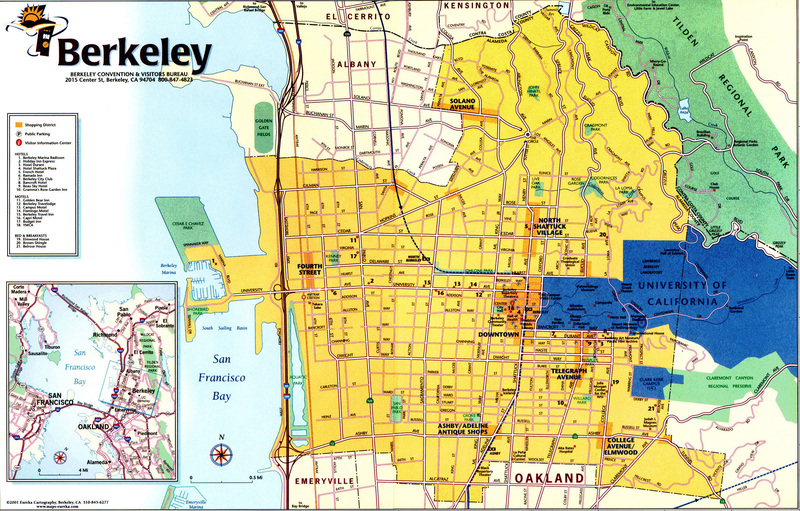 Now, granted, Hawaii might need to offload at least a few of its more moderate refugees, while trying to fit the new population in, so we believe the pressure relief valve should be designated as Berkeley, California. It's right on the Pacific and it's saturated with multicultural Islamofiles who're just dying to help out the fundamentalists, and much like the Islamists, they don't like differentiating opinions on anything at all, while adoring heavily regimented violence, so it should be the perfect fit for two groups who appear to be made for one another, and right from the start. It's win-win all the way around; and even better, there's always North Korea and their nuclear ambitions, or the ongoing threat of secession, or even the San Andreas fault, ready to give way at any moment, and if things go really, really, bad, there's always a vast oversupply of heroic celebrities just itching to the save the day. And, let's just be serious, who, in America, really cares that much about California, or Hawaii, at this particular point, because they sure as hell don't care anything at all about the rest of the country, at least it more often than not, seems. This hereby concludes our proposal. « Trump Stuns Voting Base With Declaration Of Being Both A "Nationalist & Globalist" at the Same Time Stating "I'm Both"